Lace up your boots and sample fifty-three of the best trails in New Mexico’s Aldo Leopold Wilderness – a vast, 202,016-acre wonderland of canyons, valleys, mesas, long ridges and lofty peaks. From great volcanic spires and spectacular cliff formations to dry pinyon-juniper woodlands and rolling virgin ponderosa pine forests, the diversity of the trails in Hiking New Mexico’s Aldo Leopold Wilderness should please nature lovers and history buffs alike. Let veteran hikers Bill Cunningham and Polly Burke lead you through day hikes, two- or three-day backpacks, and rugged wilderness hikes. Use this guide for: up-to-date trail information; accurate directions to popular as well as less-traveled trails; difficulty ratings for each hike; detailed trail maps; zero-impact camping tips. 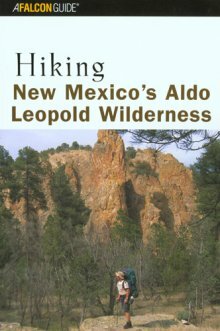 Whether you are a day-tripper or long-distance hiker, old hand or novice, you’ll find trails suited to every ability and interest in New Mexico’s Aldo Leopold Wilderness.